A Yeoman generator for Pattern Lab, a static site generator based on Brad Frost's Atomic Design methodologies. 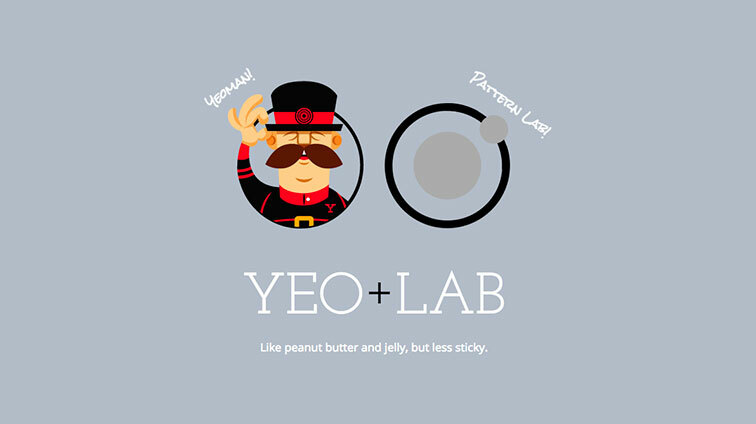 Yeo+Lab scaffolds out a new Pattern Lab site and sets up a few other optional workflow bells and whistles. A responsive email framework built with a modern workflow in mind. It's built on top of the Middleman static site generator and features: modular components, integrated Sass, Grunt tasks, and more. A way to test the near-infinite combination of input types, validation patterns and attributes across any device, OS or browser, to see how onscreen keyboards and HTML5 validation behaviors would react.